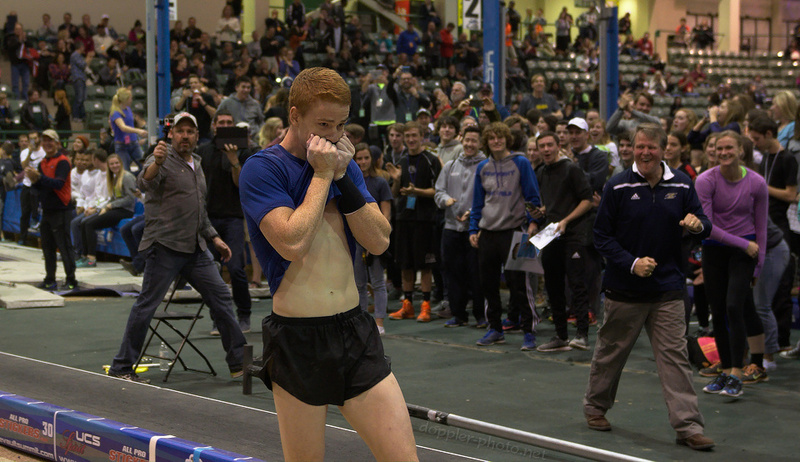 What does it feel like to surpass a pole vault milestone? In the 120-year history of the pole vault as an Olympic event, the first 6-meter (19' 8") clearance happened only 31 years ago, in 1985. 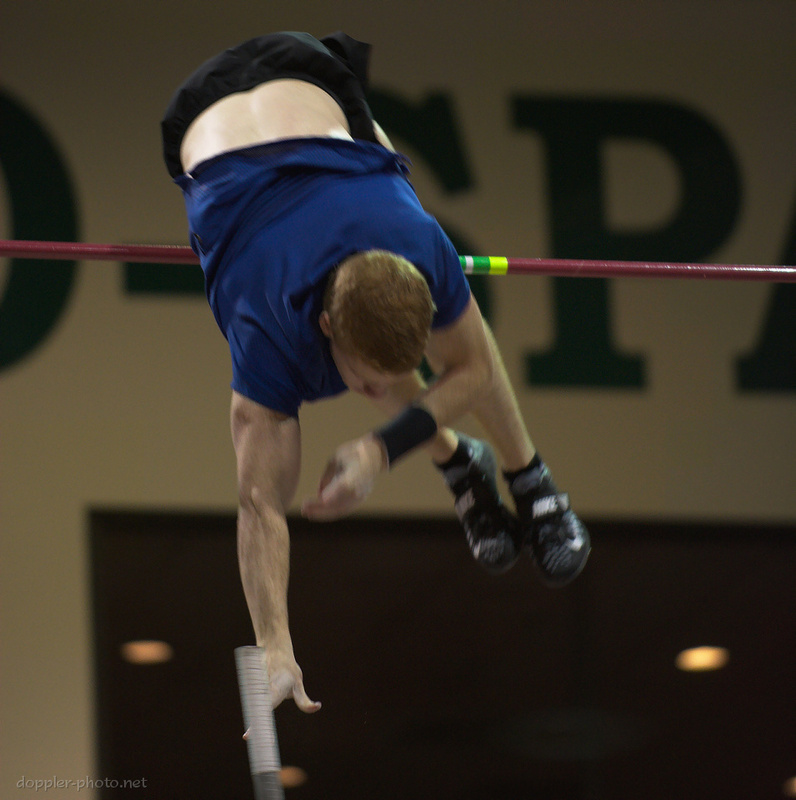 Since then, a total of 18 vaulters had cleared the mark. 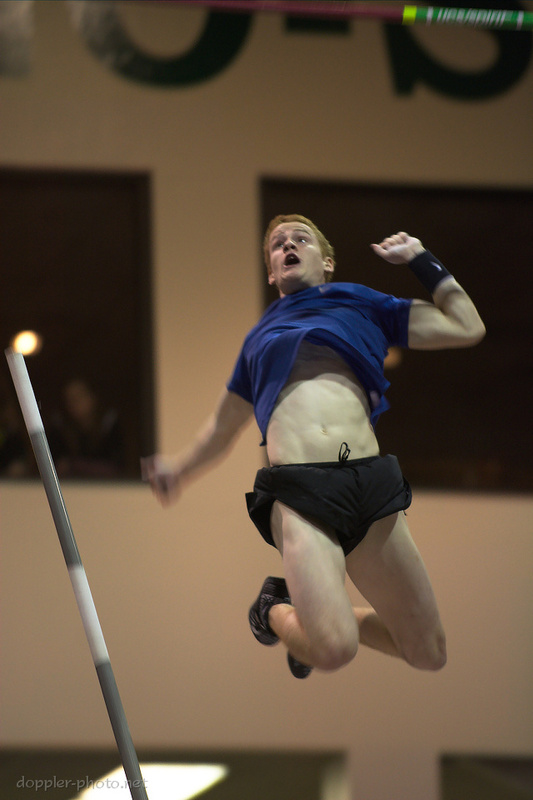 With this jump, Canadian pole vaulter Shawnacy "Shawn" Barber became #19. And at age 21, Barber was also the youngest person ever to join the club. 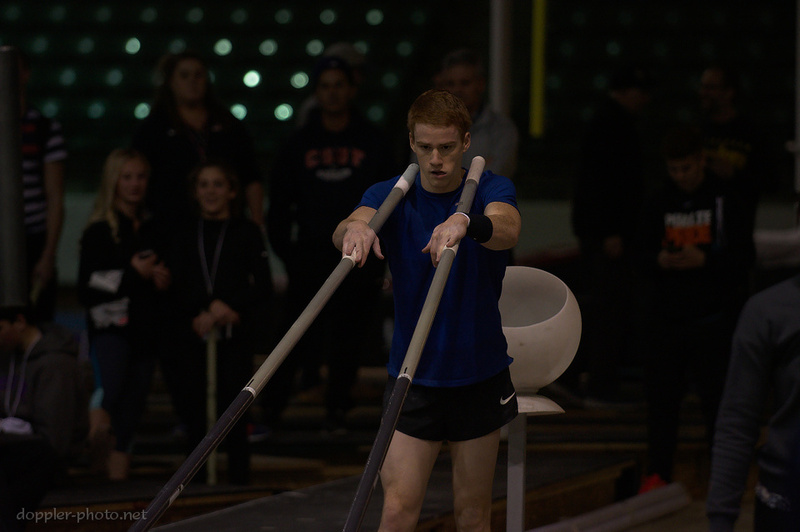 The annual National Pole Vault Summit invites vaulters from around the world to unite, mingle, and compete under a single roof in Reno, Nevada. The Summit makes space for all skill levels, from brand new beginners, to elite competitors at the top of their games. The elite meets take place Friday evening, with most of the other meets following on Saturday. 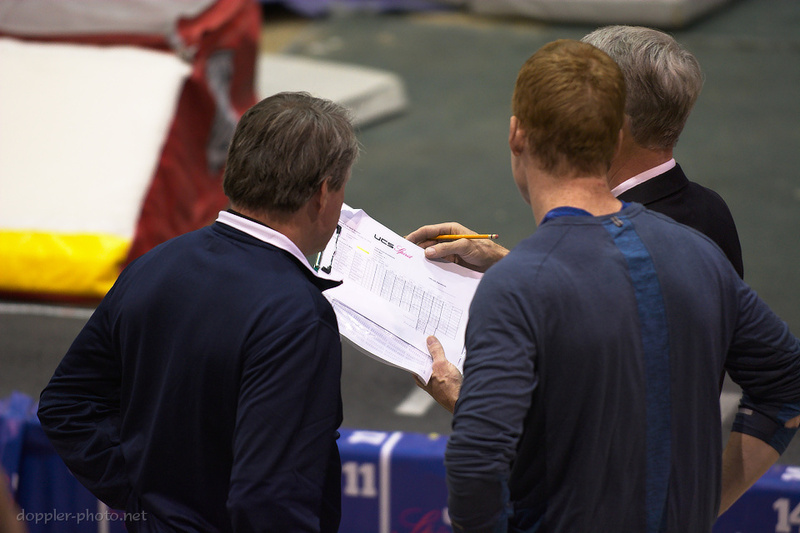 At this point in the competition, Barber's last competitor, Seito Yamamoto, had exited the competition after failing to clear 5.83m. 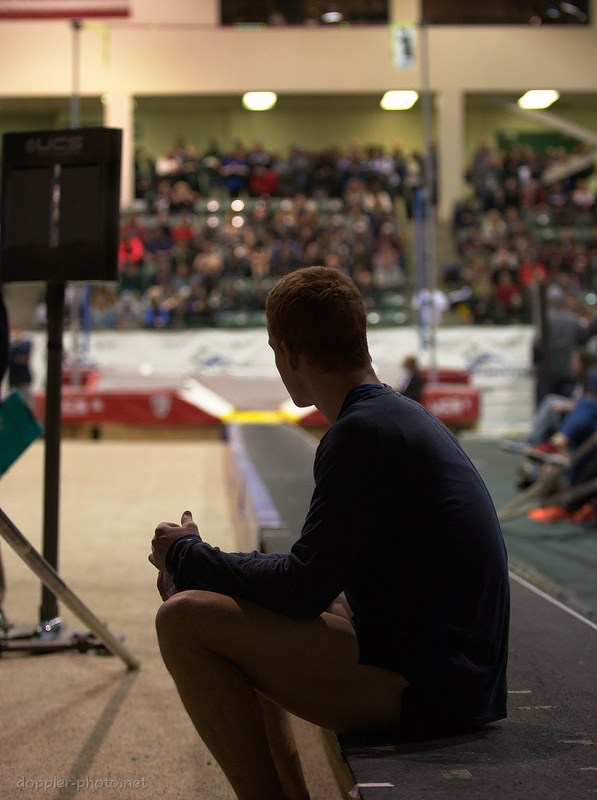 As the lone remaining vaulter, Barber could set the bar at whatever heights he wanted. 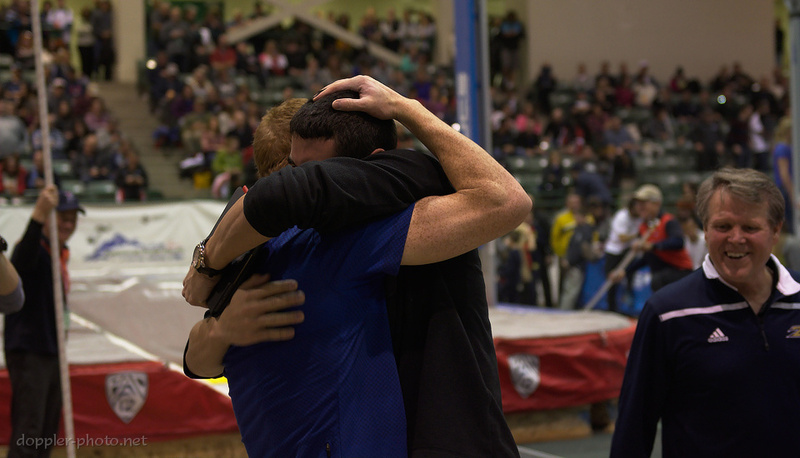 Having previously set a personal record of 5.93m, his first stop was 5.94m. After two close misses — his first misses of the competition, after clearing 5 heights on first attempts — he set a new P.R. on his third attempt at the height. So where do you go after 5.94m? 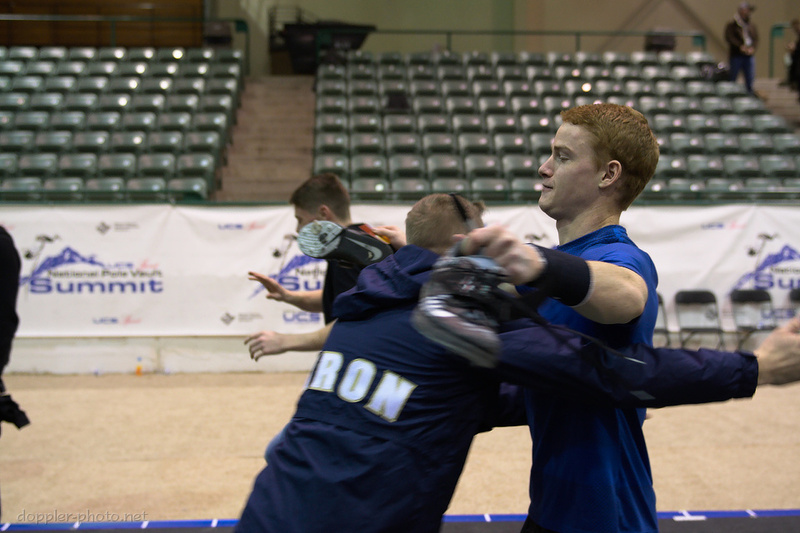 If you're Shawn Barber, you go to the back of the runway, sit down, drink some water, and look up at a 6-meter crossbar. Then you stand up, decide which pole to grab, and get ready to go for it. Then, after the arena has already erupted into cheers, applause, and shouts of disbelief, you celebrate. As people (this photographer included) marvel at what they've just witnessed, you spend some time with some of the people closest to you. 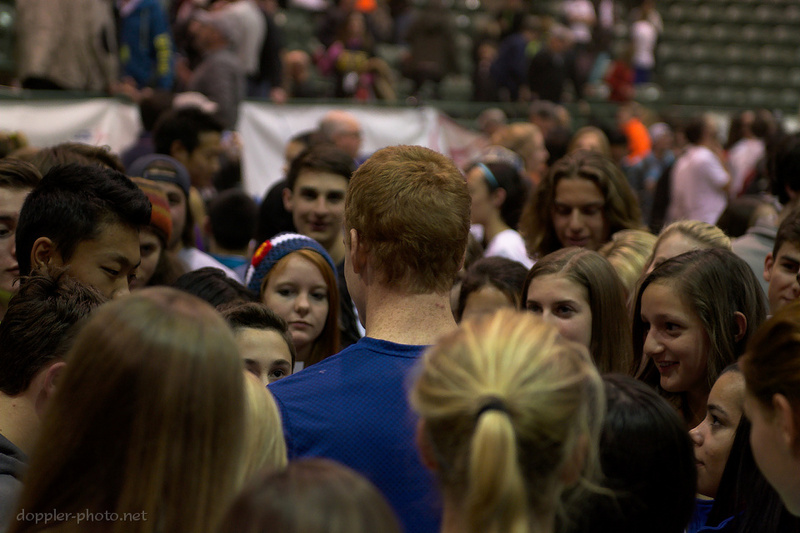 Barber was visibly bewildered for a moment as the flock of fans surrounded him, hoping for autographs, but came to his wits quickly. He hung around signing autographs, posing for pictures, chatting with people, and so on until the crowd had fully dispersed.